Why not just use a swoop? Sure, that's a possibility. A swoop would be cheaper. But hey, I like the Strafe attack. I take it the French are not done yet? Sith Dragon what you are missing is that your opponent chooses where Han sets up. Also those aren't full stats. Where is the full spoiler? Hansickle is interesting, but I don't think the cost savings will be worth it in the long run. If you have to get to your opponent's set-up area, you're going to do things like skip cover. I can see this mini costing you the 23 points you saved on Han in figs to get him rescued. Definitely a fun piece, but I doubt competetive. Okay someone spell out what i am missing. To me this seems almost broken. (almost) Being able to bring in Han Scoundrel for only 23 points is crazy huge! And if needed, you can use a different one. Am i missing something with how he works? All you do is set up, tap your ug next to him and boom you have a new Han of your choice. That frees up a TON of points in 150pt tourneys. If you take a lesser one and have to scrub a few points...Who cares you have a 15 pt Han RH or something. Your opponent picks Hansickle's starting square in his starting area. Obviously somewhere where it will be hard for you to get something adjacent. I haven't checked the maps yet, but it even be possible for your opponent to start him somewhere that you can't even get to. I don't think Hansickle will be very effective. Once he gets tagged by a teammate, he is activated for that whole round. The most HP any Han has is 90...those 90 hp don't go very far these days. One option that MAY work is to use him in a squad with Luke CotF and Obiwan (to give 8 FP and MotF2 to luke). Charge with Obiwan, and force your opponent to kill Obi quickly and give all those FP to Luke or else have another heavy shooter to kill. If Obi makes it to Han, then great: you've got your Han. If not, then Luke has become a 1-man wrecking crew. However, it seems like a smart opponent will just sit back and let you come to him, shooting you up as you go. Then, once you defrost Han, your opponent has had plenty of time to set up his pieces in such a way that Han will last 1 round, maybe 2; either that, or the rest of your squad is gonna bet poached heavily. Half-price or not, Hansickle probably won't be worth his points most of the time. I'm surprised that after the French are donw playing, we still have nothing besides one guy's pulls. Fool's connections must be taking a bit of time. Thank you! I knew i was missing something. In that case this piece could be fun, but a real nightmare as you could have 23 points you never get access too. In addition, you loose Han. So there is a drawback, but it's not that bad that the hansickle stays in your storage box. It will make for some fun squads, and mabe even competative. Just watch out, because your opponent will make sure he has LOS to Han for missles or splash, to kill off the activation next to him. So don't go for Hansickle. Sit in Gambit and get up on points. Your opponent has to advance. If they do you can get Han easier when you are engaged with the opponent. If they sit back and wait with him you will win by Gambit. I think it actually very smart, because it distracts your opponent a lot. They can suddenly bring in the Han Cannon, and that changes the game, unless they are already sitting there, in which case, as flea said, is just retarted, because you loose because of gambit. Death to the square bases!!! Die for something, or live for nothing! Yeah, that sort of is the reason for the Legacy of the Force set. The comic has only been out for a year and half, a little too early to get minis this year. Would you rather have had them delay this set 'til summer of '08 so it would be released with the rest of the Force Unleashed stuff? Considering the game was original slated for this Nov, it is a major miracle that the set didn't get delayed along with all the other tie in material. What about using Hansickle with Garm Bel Iblis? Yeah, I've been surprised since day 1 that they've left all the TFU stuff in this set. Although, none of it would have been a big deal except for Juno. Everything else about the minis characters was already known from the concept art and trailers for the video game so far. We'll get plenty of Legacy time-frame love next year. I can't wait for that either. Some of the stats for FU are very impressive, and certainly inovative for this game. Han in Carbonite, pretty much does what I figured, but it could be a lot of points doing nothing. Proxy is very powerful IMHO. If you're playing a Melee beatstick you'd include him every time. Kota is powerful, +3/+3 will seriously boost the Bounty Hunters, as if they needed it. 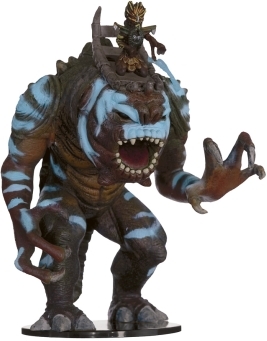 Rancor is impressive, again even more so with Kota. Garm, I'm not a fan of Reinforcements, but his CE is big. The Rancor could still move 4 & Triple. Ozzel I do like, an alternative to B&B. And finally Imperials get Reserves. Ugnaught Tech, great piece but nearly makes R5 redundant. In all it's looking like a great set. Not sure I like the combo that will grant Imperial Troops a 30 Defense, but all in all I'm loving what I see. 12 days and counting! missiles or splash damage wont do anyhting for Han because the Block doesnt have any HP as far as i can tell. I dont think the Han stats would be in play until "thawed".